Our mission is to provide the necessary support and care to assist you in living each day as comfortably as possible in the company of your family and friends. Through advocacy and education, we are here to help you and your loved ones feel confident during the course of your illness so that all of your physical and emotional needs can be anticipated and respectfully addressed. Assist you in your desire to stay at home, whenever possible, under the care of family, friends and visiting professionals. A common misconception is that hospice care is for patients who only have days to live, when in reality hospice care is available for patients who have months to live. Hospice, also known as comfort care, is for patients who have made the personal decision to no longer pursue curative treatment. Instead, they have decided to focus on quality of life and time with family and friends. Hospice care utilizes an interdisciplinary team of professionals to provide compassionate and expert medical care, pain management, and emotional and spiritual support expressly tailored to the patient’s needs and wishes. Hospice focuses on comfort, not curing, with the fundamental principle that each of us has the right to die pain-free and with dignity, and that our families will receive the necessary support to allow us to do so. The decision to seek hospice care is an important one. If you or a loved one has been diagnosed with a terminal illness, there may come a time when efforts to slow the illness are not working and become more harmful than helpful. If that time comes, you might want to consider the benefits of hospice. Deciding the right time is a personal choice. Patients tend to transition to hospice when they have decided to stop curative or aggressive treatments. The earlier we start working with a patient and their family, the bigger difference that we can make in their quality of life. Now is the best time to discuss the options available to you or a loved one through hospice. Although end-of-life care may be difficult to discuss, the best thing you can do for yourself and your loved ones is to plan in advance and share your wishes long before it becomes a concern. This can greatly reduce stress when the time to start receiving hospice services becomes apparent. By having these discussions in advance, uncomfortable situations can be avoided. Instead, educated decisions can be made that include the advice and input of the loved one who’s effected. Who is eligible to receive hospice services? Any person, at any age, can receive hospice services. Medicare Part A sets forth the criteria for the hospice benefit and most other insurers also follow these guidelines. The criteria for hospice eligibility are established by state and federal regulations and require certification by a licensed physician stating that an individual has a “life-limiting” illness. The eligibility requires that the physician certify the patient has six months or less to live if the disease follows its usual course. There are no illnesses or treatments that automatically exclude access to hospice care. Eligibility is established on a case-by-case basis. MJHS Hospice can help address any questions you may have about eligibility. Just call us at: 1-800-HOSPICE. Medical and nursing management of the physical symptoms of your illness. Emotional and spiritual support / counseling for you and primary caregiver(s). 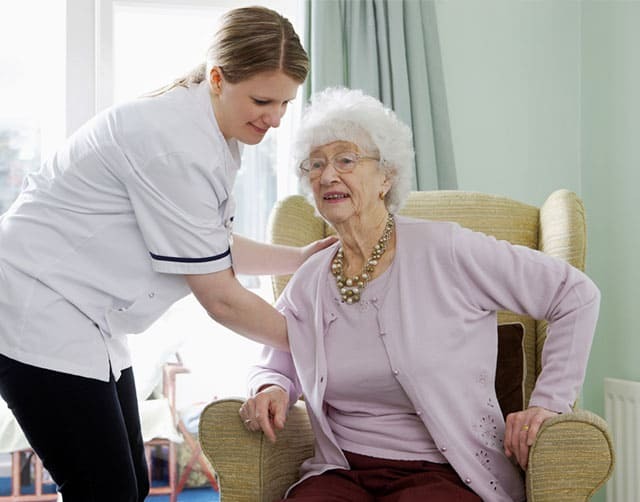 Routine Home Care—This care is provided in the comfort of your own home…whether it is a private residence, assisted living facility or skilled nursing facility. General Inpatient Care—General inpatient level of care is for short-term acute episodes. It is initiated when other efforts to manage symptoms are ineffective. This level of care is provided in a hospice inpatient unit or skilled nursing facility, and is for the treatment of uncontrolled symptoms and pain that cannot be managed in any other setting. Continuous Care (a.k.a Crisis Care)—This level of care is time-limited and offered only during a symptom crisis. Skilled nursing care is provided in your residence for at least 8 hours a day and may be provided for up to 24 hours, with the goal of treating your uncontrolled symptoms. Respite Care—This short-term care is provided in a skilled nursing facility. It is recommended when your caregiver is unable to provide care for reasons of travel, illness or caregiver fatigue. 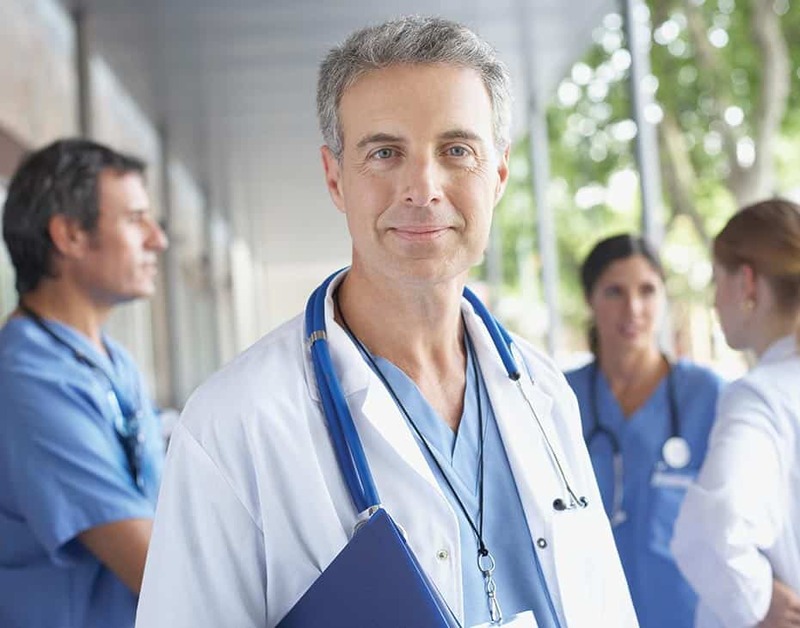 You will be cared for by an interdisciplinary team of highly trained medical and clinical professionals. They will work together with you, your family and your physician to develop a plan of care that provides comprehensive and compassionate care to help ease complex symptoms so you can feel confident about living each day to the fullest. Many of our support and specialty care programs are not covered by insurance but we provide them because of the difference they make in the lives of our patients. To support the continuation of these programs, visit MJHS Foundation. Recognizes veterans who served America and need our care. This program was developed jointly between the Department of Veteran Affairs and the National Hospice and Palliative Care Organization, with the mission of better addressing veterans’ needs at this important time of life. It includes grateful acknowledgement of their service. MJHS is the only hospice in the NY metropolitan area to earn Level 5 Partner status in the We Honor Veterans initiative. Provides our Asian patients with a team of doctors, nurses, social workers, chaplains and volunteers who not only speak their language, but also understand the unique cultural needs of the patients they serve. In partnership with SAGECare, we seek to meet and exceed industry standards in caring for the LGBTQ+ community. 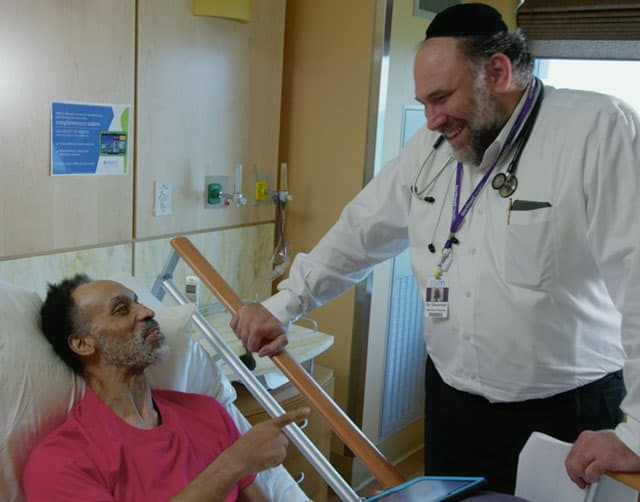 A web-based resource and knowledge center that raises awareness and educates others on the physical, emotional and spiritual needs of Jewish people affected by advanced and terminal illness. To browse our most current articles and resources click here. Sometimes, because of illness or injury, people are unable to talk to a doctor and decide about treatment for themselves. You may wish to plan in advance and fill out advance directives to ensure that your wishes about treatment will be followed if you become unable to decide for yourself. In New York State, appointing someone you trust to decide about treatment if you become unable to decide for yourself is the best way to protect your treatment wishes and concerns. Make Decisions about Treatment Adults in New York State have the right to accept or refuse medical treatment, including life-sustaining treatment. Our constitution and state laws protect this right. This means that you have the right to request or consent to treatment, to refuse treatment before it has started and to have treatment stopped once it has begun. Decide about Cardiopulmonary Resuscitation and Do-Not-Resuscitate (DNR) Your right to decide about treatment includes the right to decide about cardiopulmonary resuscitation (CPR). CPR is emergency treatment to restart the heart and lungs when your breathing or circulation stops. Sometimes doctors and patients decide in advance that CPR should not be provided, and the doctor gives the medical staff an order not to resuscitate (DNR order). If your physical or mental condition prevents you from deciding about CPR, someone you appoint can decide. Decide About Do Not Intubate (DNI) Do not intubate (DNI) means that no breathing tube will be placed in the throat in the event of breathing difficulties or respiratory arrest. If you stop breathing, you will not be placed on an artificial breathing machine, and the insertion of a tube or mechanical ventilation will not be initiated. The DNI order can be a separate advance directive from the DNR order, but in most cases they are ordered together. A health care proxy is a written document that allows you to choose a designated person to make medical decisions on your behalf when your doctor determines you are unable to do so for yourself. A living will is a document that contains your health care wishes and is addressed to unnamed family, friends, hospitals and other health care facilities. It allows you to express your health care wishes in the event your doctor determines you are no longer able to make medical decisions for yourself. A do-not-resuscitate (DNR) order is a written document that tells medical professionals to not perform CPR if your breathing or heartbeat stops. Doctors issue DNR orders. Halachic pathway assures that a patient’s family and chosen rabbinic advisor, or Posek, can be included in the medical decision-making process. 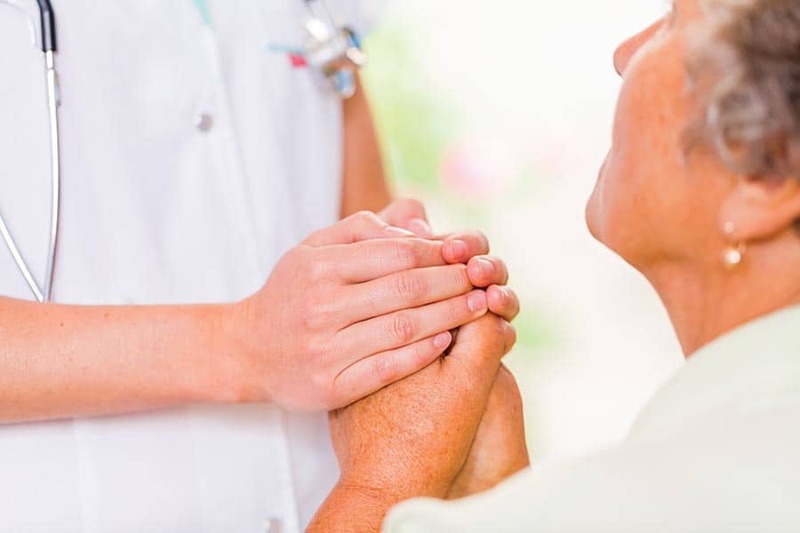 We can provide our hospice and palliative care services in the comfort of your home, an assisted living community, in nursing homes, in hospitals across the greater New York area or in one of our inpatient residences. No matter where you choose to receive your care, you can count on MJHS Hospice and Palliative Care to provide a team of care specialists that patients and families can go to, not only for care, but for answers. We are here to provide the support and care you need. In cases where care at home is not the best option, a specialized residence may better meet your medical needs in a home-like setting where you and your family can spend quality time together. Our Block residence features private accommodations that include a kitchenette and welcoming common areas, including family lounges and dining rooms. For our patients who are already living in a skilled or assisted living facility, our hospice team can work with the facility to coordinate the best plan of care. Providing hospice care at a skilled or assisted living facility does not take the place of the facility’s existing staff. 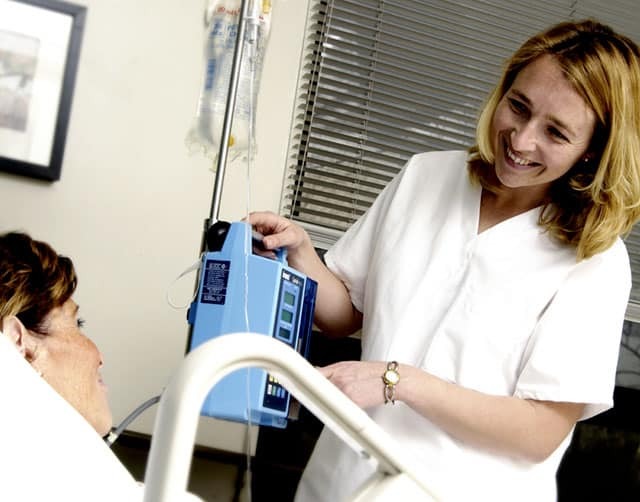 We supplement the facility’s care and coordinate between doctors, nursing staff, the patient, family and others to ensure you are always comfortable and your needs are being met. For a list of facilities that we can provide hospice care in, click here. Patients who are extremely ill may receive hospice care in a hospital setting. Our hospice team will work with the hospital staff to ensure your comfort. When your condition stabilizes, our hospice team will work with the hospital discharge planner to assure a smooth transition to the appropriate setting. In order to continue to receive hospice services from MJHS Hospice and Palliative Care, you must be at one of our contracted facilities. For patients and family members, the first step is to have a conversation with your family, friends and your primary care physician. Hospice care can start as soon as a referral has been made by your doctor. Typically, a hospice RN will visit you within 48 hours to assess your needs. 1) Patients do not have to give up their personal physician. The hospice team will work with them to plan their patient’s care. 2) Patients can stop receiving hospice care at any time with no penalty. For example, if prognosis improves or a new curative treatment becomes available, care can be discontinued and started again at a later date, provided the physician determines the patient is still medically appropriate. 3) Although the eligibility for hospice requires a life-limiting illness, there is no limit on the number of days a patient can receive hospice. As long as the patient’s primary care physician and hospice medical director say the patient is eligible, the patient can continue receiving services. 4) Hospice is not a place. It is a level of care that can be provided in the comfort of home, an assisted living community, nursing home or inpatient residence. For more information or to start hospice care, call our Access center at 212-420-3370. Hospice is covered by Medicare, Medicaid, managed care (including HMOs) and most private insurances. At the time of referral, our access coordinators will assist you in verifying your insurance benefits and answering any questions you may have about our services. Grants, donations and fundraising activities from our own MJHS Foundation provide care to some of our patients regardless of ability to pay. Medicaid participants can receive hospice care when they are terminally ill. “Terminally ill” means the patient has been diagnosed with a medical condition that reduces their life expectancy and is near the end of life. and would like to request a hospice evaluation for your patient, we are happy to assist. You can call us at 212-420-3370 or fill out our form and we will be in touch right away.